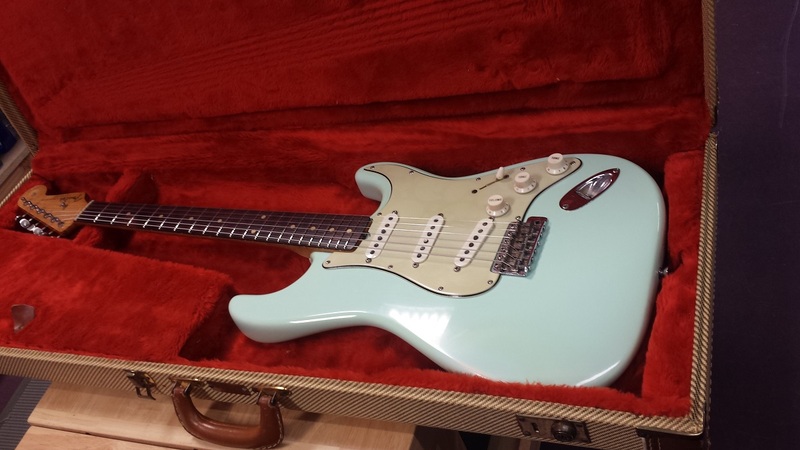 1963 Fender Stratocaster all original except for a really nice Sonic Blue refin that was done many years ago. This guitar is dated January 1963 so it is a very early veneer fretboard model. I leveled & dressed the frets and gave it a good set up. Super player and awesome tone!! !